Palestinian Arabs in the area, from those who make up the 70 of Jordan's population to those crammed into the Damascus refugee camps observed, with some envy, how their Arab-Israeli brothers go to the polls in Nazareth, Umm el Fahm and Haifa. The viral ad in Israel featured the face of Ayelet Shaked, outgoing Minister of Justice. A perfume named “Fascism” is sprayed, while a female voice whispers “justice reform” and “separation of powers”. And she concludes: “Scent of democracy”. Great scandal among sincere Western democrats who scream about the “crisis of Israeli democracy”. Meanwhile the news of the year was lost: While Israel voted, as it has done for 71 years, in the same period of time the Palestinian Arabs of Ramallah entered the 15th year of satrapy of their dear leader Mahmoud Abbas without elections (his presidency officially expired in 2009) and in Gaza Hamas ended up repressing the biggest (and only) popular protests in twelve years of Islamist dictatorship in the Strip (no elections there either). The only member of the Arab League that Freedom House has considered a “democracy” for years is the Comoros Islands, 800,000 people off the coast of Africa. 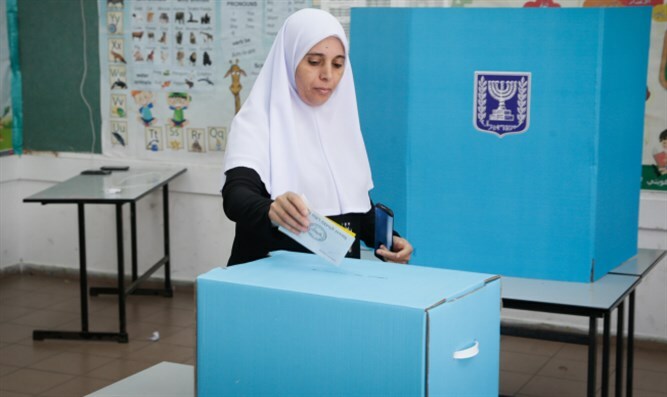 And in Israel, which had to choose between Bibi Netanyahu and Benny Gantz, Israeli Arabs, 20 percent of the population, returned to the polls with their lists and candidates as they did for the last 71 years. Israel is the only country in the Middle East where Arab women have always been able to vote and the Arabs have always voted continuously. The Knesset in Jerusalem is the only Middle Eastern Parliament where Arab politicians can stand up during a session, accuse their country of “fascism” and return home at night on their own legs. Not only that, but the Israeli Supreme Court has banned only one candidate in these elections, the Jewish Michael Ben-Ari and not one of the Arab-Israelis who are attacking their own country. And it goes without saying that the Palestinian Arabs in the area, from those who make up the 70 of Jordan's population to those crammed into the Damascus refugee camps under the “wrong” bombings to tune the antennas of Western public opinion, observed, with some envy, how their Arab-Israeli brothers go to the polls in Nazareth, Umm el Fahm and Haifa. Israel has just voted in a prime minister under investigation for alleged corruption, while Mahmoud Abbas and Hamas elevated corruption to a power system with the silent assent of the international community. According to Muhammad Rashid, economic adviser to Yasser Arafat, Abbas has a personal wealth of 100 million dollars,making him a good heir to Arafat, who had accumulated 1.3 billion. Not to be outdone, the head of Hamas, Khaled Meshaal, has 2 billion in the accounts in the Gulf. But our dear Western democrats are daltonic while opening the map of the democracies of Freedom House, where we go from the intense green (Norway) to the dark purple (Saudi Arabia). They do not see - and you have to move the cursor very slowly to see it yourself - that green-democratic speck in the immense range of purple Islamic autocracies, Israel, and they still think that by eradicating that “the only excess state in the world” (Pierre-André Taguieff) the Middle East would become a garden of democracy and rights. Poor idiots!